Cat lovers just can't let it go. And Jenna is a cat lover, so when her manager at the restaurant where she worked told her about hearing a kitten mewing outside in the freezing cold, Jenna did what any cat lover would do. She went to rescue the baby kitty. Trouble was, even though it was lonely, scared, and hungry, the kitten didn't want to come out of her hiding place. She was holed up in a frozen steam vent and resisted all efforts to help her. 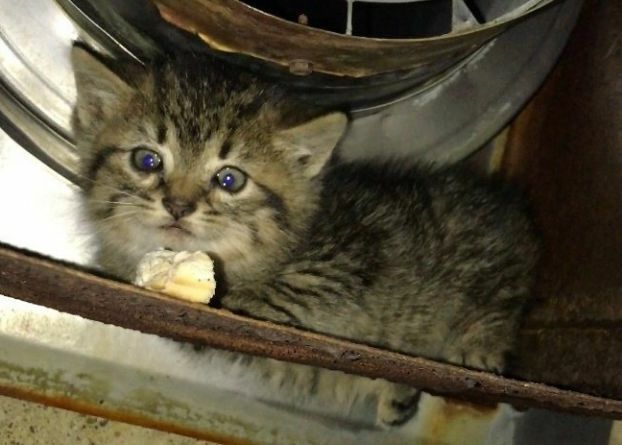 Hissing and spitting, the little kitten made it clear that she was too frightened to come out. Jenna tried everything. For over an hour, she wheedled and cajoled, tempted and attempted to rescue the little feline. Although the kitten was hungry, even food didn't coax her out of her hiding place. Finally, Jenna went for help—but of a kind you'd never expect. She went back into the kitchen and got a spatula! Then she simply scooped the kitten out into her waiting arms. 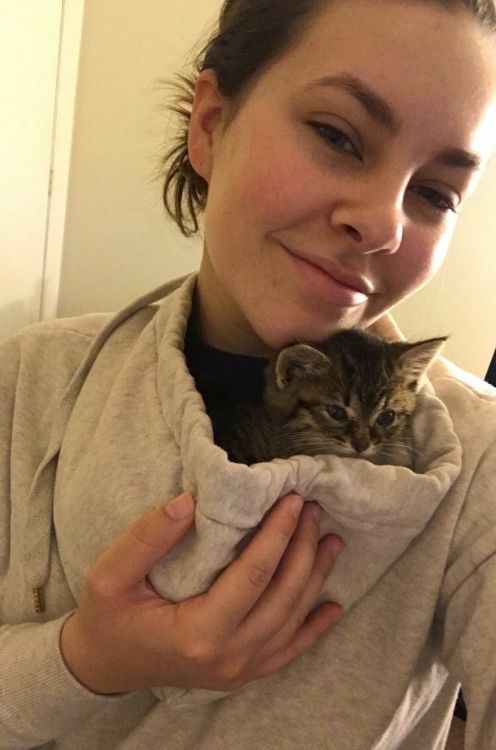 Once she finally had hold of the kitten, she wrapped her in a towel and put her in a box to stay warm. 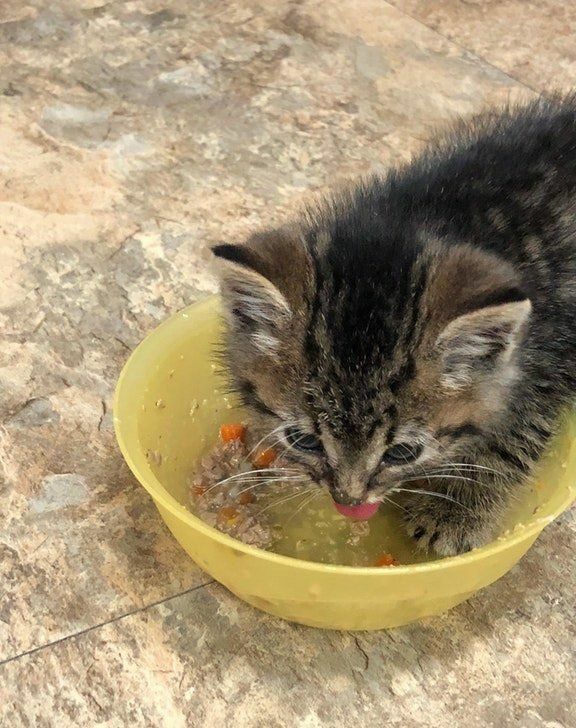 After her shift ended, Jenna took the kitten home with her and gave her some food. This time, the kitten ate it all. 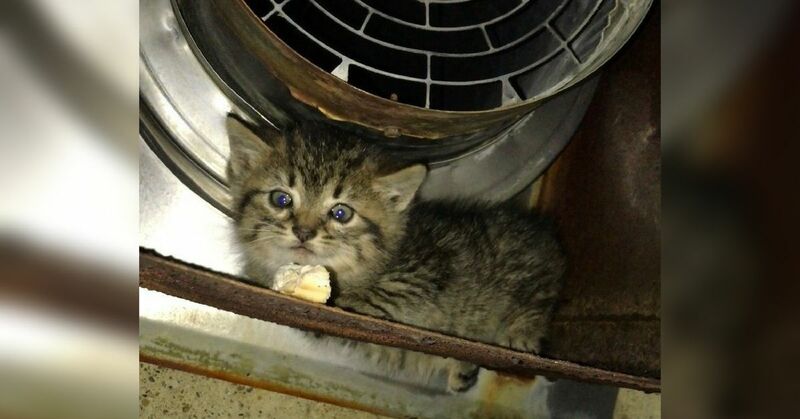 Considering where she was found and what it took to get her out of the vent, Jenna decided to give her a food name: Nugget. But even at Jenna's home, Nugget didn't want much to do with her new mom. 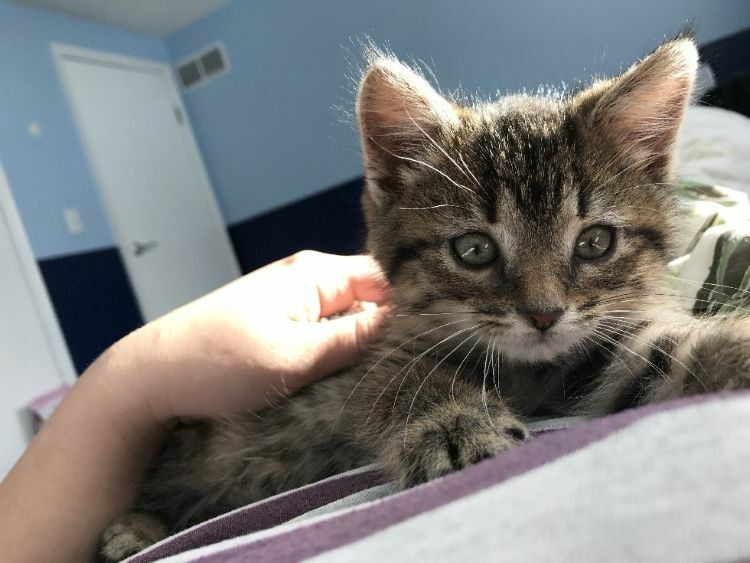 "She spent the nights on a heating pad and her days hiding under my bed, then one day she fell asleep in my hand while purring like a motorboat and was super affectionate from then on out!" 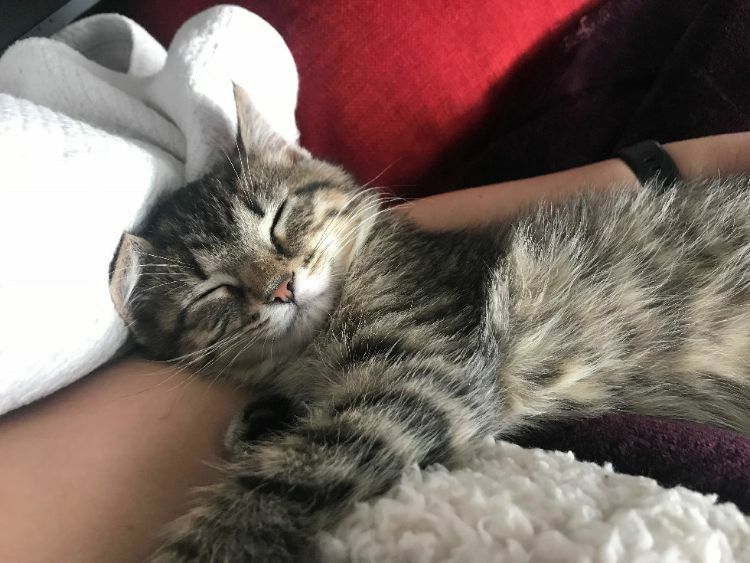 Once Nugget had made the decision to trust Jenna, she made the discovery that sleeping in her new mom's arms was quite a nice change, so she did it every chance she got. 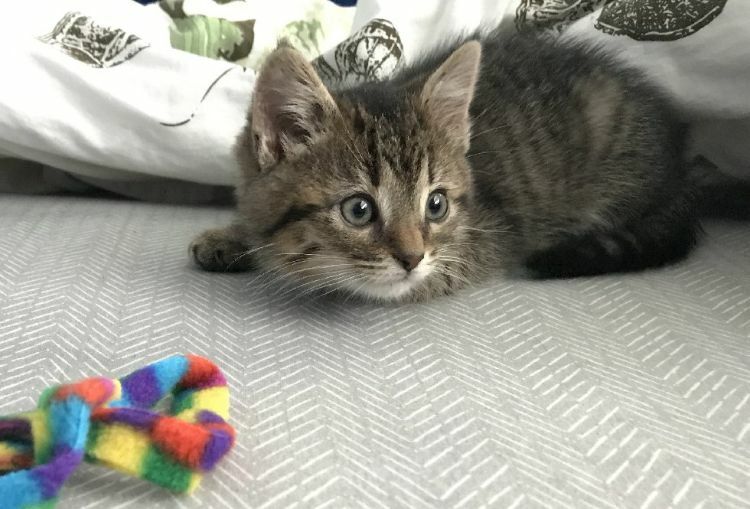 Nugget had fleas and pinkeye when she was rescued, but now she has a clean bill of health. She has two grown cats to keep her company and plenty of good food and lots of toys. 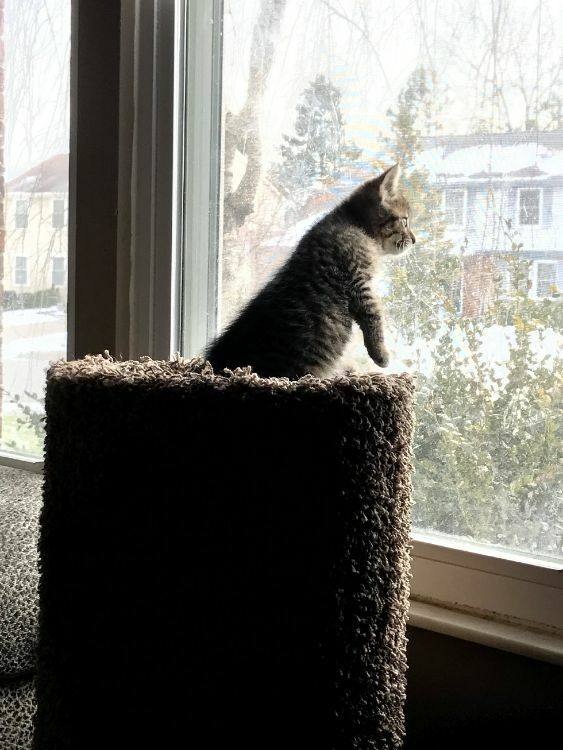 One of her daily rituals is watching the birds outside from her perch on top of the cat tree by a window. "Each day from noon to three she takes a nap on my chest, and every night she attacks my hands while I'm trying to sleep," Jenna added. Jenna is so grateful that she was able to rescue the hissy kitty that cold night. Who knows what would have become of Nugget if Jenna had given up when the kitten insisted she didn't want to be rescued. 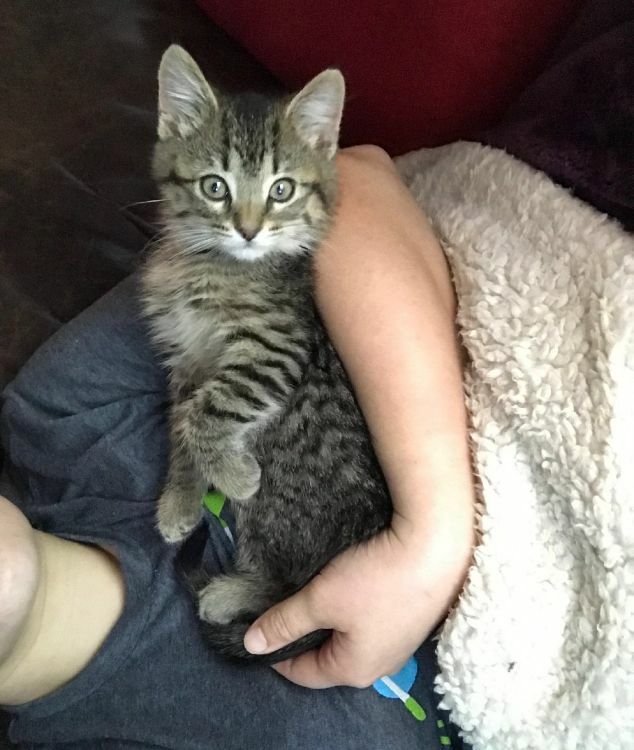 Now Nugget has agreed to be Jenna's little friend for life, and Jenna is so happy to have the little furbaby! Share this inspiring story with your friends. What is the strangest way you've ever heard of rescuing an animal? Does it beat Jenna's spatula? Let us know in the comments!